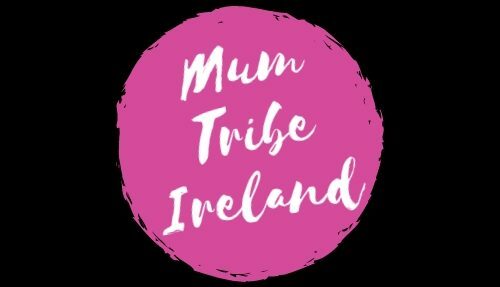 Since starting Mum Tribe Ireland back in March 2018 (what a whirlwind year it has been!) I have had SO many mums get in touch with me to ask about family friendly trips away. There are so many fabulous hotels across Ireland that cater for families, but one that stuck out in my head was Fitzgerald’s Woodlands House Hotel in Adare, Co. Limerick so it was an easy decision to collaborate with them on the first installment of #mumtribetravel. To be totally transparent, the Woodlands gifted us part of our trip in exchange for an honest review, but I based our experience on how we found the hotel and its facilities rather than on what was gifted to us as part of our stay. From start to finish, the staff at this hotel have been an absolute joy to deal with and made our trip one to remember. I’ve traveled all over the world for business and pleasure but I have yet to encounter a hotel where every single staff member has been as courteous and helpful as the team at the Woodlands. So lets dive in to our trip and why we enjoyed it so much! We are based in Cork so the trip was pretty straightforward to Adare, which in itself was great. We were worried that our son would be bored on the drive so we timed it that he had his afternoon nap while on the road, and it worked! He woke around thirty minutes left in our journey and I dished out plenty of snacks, stickers and toys to keep him occupied until we arrived. The location of the hotel is ideal if you want to base yourself somewhere for your trip that you are happy not to leave, its surrounded by green fields and fresh air. I’ve been working so much at the moment it was wonderful to just switch off and enjoy each others company for a few days. We arrived about five minutes before the bride and groom of the day got to the hotel. Which in itself was a treat for me because I love weddings and everything they entail. The hotel was absolutely packed with super glam wedding guests and they had the most gorgeous afternoon tea and prosecco wall set up so I was impressed from the get go! Check-in was quick as our room wasn’t ready so we went to Timmy Mac’s Bistro for a bite to eat. If you love farmhouse chic then this little gem is for you. Think vintage bikes suspended from the ceiling, an exposed brick fireplace with a cozy stove, shabby chic decor and tasty home style cooking. What I really loved about the Bistro were the staff, we were served by Callum who couldn’t have been more accommodating. We had told the hotel in advance about our sons egg allergy and he was able to check the kids meals ingredients and came to the table armed with a colouring book, crayons and juice so our toddler was very impressed! We ordered pizza and fajitas, both were delicious. My husband said the pizza was so filling he couldn’t manage all of it so Callum wrapped it up for him (something that the staff are more than happy to do – ideal if you have kids who are slow eaters or who you know will eat later on – funny story our toddler polished off my husbands pizza in the jacuzzi bath, talk about living your best life!). I had a spa treatment booked but knew that I’d be late for it because we all know the struggle of trying to get a toddler to eat when there are so many interesting things to do and see around them, so the staff were able to push out my appointment which was so good of them. I left my husband to run up to the room and get ready and I’m SO glad I was able to take in the room alone. We had a fabulous suite which consisted of a main bedroom/living room area with everything you would expect from a quality hotel – tv, kettle, ironing board, safe and fridge. The style was so glam, mirrored furniture, crushed velvet, glittering sequin throws and crystal lights. The shape of the room is fabulous with three large windows which let in such fantastic light during the day. There was also a twin room off the main area where our son slept in the travel cot the hotel provided. Plus the most beautiful bathroom with said Jacuzzi bath, an illuminated mirror that I need in my life and the most gorgeous walk in rainfall shower. The hotel kindly left some welcome gifts for us, beautifully wrapped cookies and a bag of Voya goodies from the spa that I could enjoy from home which were so appreciated. I chat a lot about self-care but sometimes I forget to take my own advice! My husband and son arrived to the room so I headed to the Revas Spa for my treatment. Word to the wise, it’s part of the hotel but there is a very short distance you need to walk across that’s outside so keep that in mind if the weather is cold or wet (it wasn’t an issue for me but it’s always good to know these things in advance!). The spa is beautiful, with lots of their favourite products for sale in the lobby area and its designed with relaxation in mind. The therapy room was warm and inviting with a beautiful illuminated ceiling and relaxing music. My therapist was called Michelle who gave me a full body aromatherapy massage that was so thorough and relaxing. I hold a lot of tension in my neck and shoulders and she really worked on those areas to give me some relief! After my treatment she brought me to their relaxation area which are a mixture of day beds with canopies or nestled in alcoves that I loved! I’ve often been to spas where the relaxation beds are incredibly close to others so you may feel totally blissed out but you are right next to someone who’s catching up on the gossip with their bestie (I’ve been that person too! No judgement here!). The spa even has its own salon which I didn’t experience but when I go back I’m definitely going to book in for a blow dry! I floated back to our room, and returned to two sleeping boys who were as relaxed as me. We all had a great nights sleep and were ready to face the next day with enthusiasm. We returned to Timmy Mac’s Bistro for breakfast where they had something for everyone. The usual cooked Irish Breakfast was buffet style, but the chefs were on hand to whip you up an alternative dish from their breakfast menu. There was also an area for cereals, juice, bread and cakes, plus a gorgeous continental breakfast selection and a pancake machine! Such a brilliant idea for a family friendly hotel, there were queues each morning for kids and their parents who had plates piled high with them. I have to say the food was so good, my husband had scrambled eggs and they were so fluffy, while my toddler commented on how yummy the sausage and pudding was – but the stand out for breakfast for me was the tea! The tea of choice is Barrys which we all know is a staple in my house, and its served in gorgeous shabby chic tea pots. It was so good we went through two pots that morning. After filling our bellies we got wrapped up and headed to the Petting Farm which is on the hotel grounds. It’s small but was perfect for my two year old to feed vegetable scraps from the kitchen (such a thumbs up in my eyes – sustainable and environmentally friendly) to goats, birds and bunnies. We also strolled around the grounds and found their lovely fairy trail which was magical for my little one to explore. You definitely wouldn’t go hungry at the Woodlands, we were booked in for afternoon tea but were so stuffed from breakfast that we moved it out an hour and I’m glad we did. We spent some time relaxing in the room watching Tiny Pop on tv – kudos to the hotel for thinking ahead and catering for little people! After thoroughly relaxing and re-heating after our trip outside we went to Fieldings of Adare for our Afternoon Tea which was served by Monica who was so lovely. Nothing was too much to ask, our toddler had his own egg free afternoon tea, the pastry chef is vegan and Italian so you can only imagine the gorgeous treats he had. He absolutely loved the cake and every time he saw something new on his spread all he could say was ‘WOW’. Our own afternoon tea was wonderful, with delicious seafood pastries, mini sandwiches and quiches hot out of the oven. There were fluffy scones and the most divine mint chocolate cheesecakes, tartlets and cakes. It was SO good! Fieldings of Adare is such a beautifully presented room and I think it would make such a lovely venue for a birthday, baby shower or girlie get together, in fact I think it needs to host a #mumtribemeetup soon! We returned to our room so full and content I did something I haven’t done in a very long time, both my toddler and I napped while my husband watched sport on tv – what a win-win situation! Afterwards we went to the hotel pool for a bit, unfortunately my son was not impressed because he’s a toddler and suddenly decided he didn’t want to go swimming the second get got there! But I did see lots of children having swimming lessons, the showers and changing room were clean and the gym next door was fully equipped for guests. We returned from swimming and got ready for dinner in Timmy Mac’s bistro again. Our son absolutely devoured his roast chicken, I had the same and my husband had a steak baguette which he said was delicious. The food is really wonderful at the hotel, there’s something for everyone and they serve family favourites which makes all the difference if you are staying with a child. We also booked a babysitter through the hotel called Megan which we paid directly for. She had worked in the hotel previously as part of their kids club and was garda vetted with first aid experience, which is an absolute must for me. She arrived once our son was asleep so we were able to go to the hotel bar for some much-needed child free time together. It makes such a difference when you can relax knowing your child is being looked after by someone capable and experienced. I had so many questions from followers on Instagram about the service, you can book a babysitter through the hotel and pay them directly like we did. You can specify when you want them to arrive and detail anything that needs to be done. Our details were pretty basic, just ensure he was comfortable and if she needed us we were only a short distance away. All in all our trip was fantastic from start to finish, the staff, the location and the facilities were exactly what we were looking for. There’s something for every age group and Adare village is only a few minutes away by car. Travelling with kids can be stressful but when you get to a hotel that has everything you need, and are so enthusiastic to help you enjoy your stay it makes such a difference. To find out more about Fitzgeralds Woodlands House Hotel & Spa click here.